On August 24, Microsoft announced that they had completed their roadmap to bring the features and functionality of Skype for Business Online into Teams and that “Teams is now a complete calling and meeting solution.” Another post outlined some recent improvements in functionality for online meetings. The announcement sounds impressive, but there’s a world of difference between Microsoft saying their work is done to tenants actually moving their complete communications workload to Teams. Unfortunately, many Microsoft announcements are clouded in mystery when it comes to informing customers about when exactly they can expect to be able to use new functionality and many of the features mentioned in Microsoft’s blog have not yet reached Office 365 tenants. Perhaps Microsoft is unwilling to put solid dates in new feature announcements because it’s too difficult to predict when a specific customer will see the software. Setting expectations is a good thing when you can realistically expect to meet the dates, but it’s not so good when dates might slip. The complexities involved in deploying new software to such a massive infrastructure spread over multiple datacenter regions makes availability hard to predict. Allied to the operational steps in deployment, it’s also the case that Office 365 features go through different stages before they are generally available. Although Microsoft might announce a feature, it might only be available as a public preview, or only if your tenant is configured for First Release, or it might not have been deployed yet in your Office region. Never confuse a marketing announcement with the ability to switch on a feature. Another influence is that some features highlighted by Microsoft like capturing recordings of meetings in Stream are dependent on the deployment of other Office 365 components. It’s also the case that some features are still so new that they’ve only been seen by customers who participate in Microsoft’s Technology Adoption Program (TAP) for Teams. Still another consideration is that software needs time to mature. The inevitable bugs that exist in all software, including the new Teams features, need to be found and quashed. Performance and reliability needs to be improved – the new Teams and Skype for Business Online Admin portal is a case in point here: it can be very slow to load and transition between features. All-in-all, it will take some more time before Office 365 tenants have the chance to make their own minds up whether now is the right time to move over from Skype for Business Online. No doubt we will hear a lot about the new features and how to execute a smooth migration from Skype for Business Online at the Microsoft Ignite event in Orlando next month. 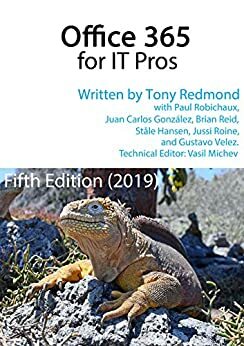 Before then, you can read more about Teams in Chapter 13 of Office 365 for IT Pros, and more about the transition from Skype for Business Online to Teams in Chapter 16.